I received a Padlette at CES a few years back and have been planning to write a review of it since then. I use it every day on my iPad and love it! It is especially convenient when you need to hold the iPad for extended periods of time, like watching a movie or reading an eBook. Before the Padlette I would try to prop the iPad up on something but it would inevitably fall and usually on my face, which I can tell you is pretty painful. I would also routinely get hand cramps from holding the iPad for extended periods of time pre-Padlette, but since there are a number of ways to hold the Padlette I haven’t gotten a hand cramp since, it is a life saver for my hands! 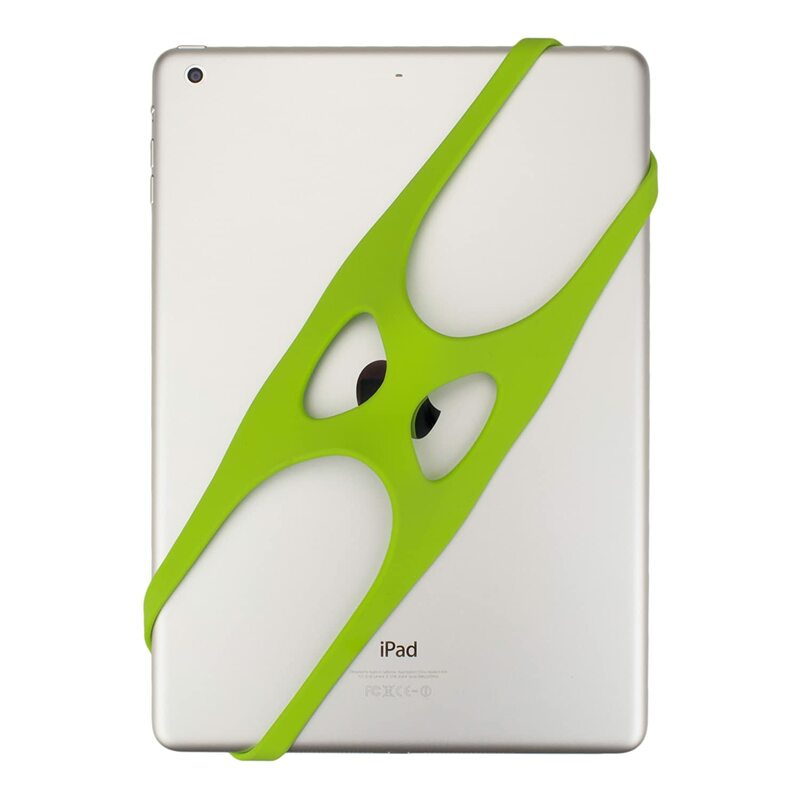 The Padlette stretches around your iPad, so the only drawback is if you have a cover on your iPad it won’t work. But for my iPad I use a sleeve cover and the Padlette. You also need to position the Padlette so that it is not on the corner that the power button and volume controls are on. It is easy to remove and install so if you wanted to keep your cover and use it occasionally for movies that would also work great.